This post is an expanded version of my biweekly newsletter content, which features a letter from me to you along with ideas worth sharing and a healthy dose of fun. Not on the list? You can subscribe right here. Nothing ignites fire in the gut of righteous grammar geeks more than the serial—aka Oxford—comma. Maybe you heard about the Maine dairy-truck drivers’ recent legal victory that hinged on a comma—actually, the lack of a comma. The truck drivers won an appeal against their employer, Oakhurst Dairy, regarding overtime pay. Last week Oakhurst settled the case and paid up. Marketers love clever creative, remarkable ROI, and respect. In 2014, three truck drivers sued the dairy for what they said was four years’ worth of overtime pay owed to them for deliveries they’d made. Aha…! the lawyer for the truck drivers said. Earlier this month, Oakhurst Dairy settled, agreeing to pay $5 million to the drivers. 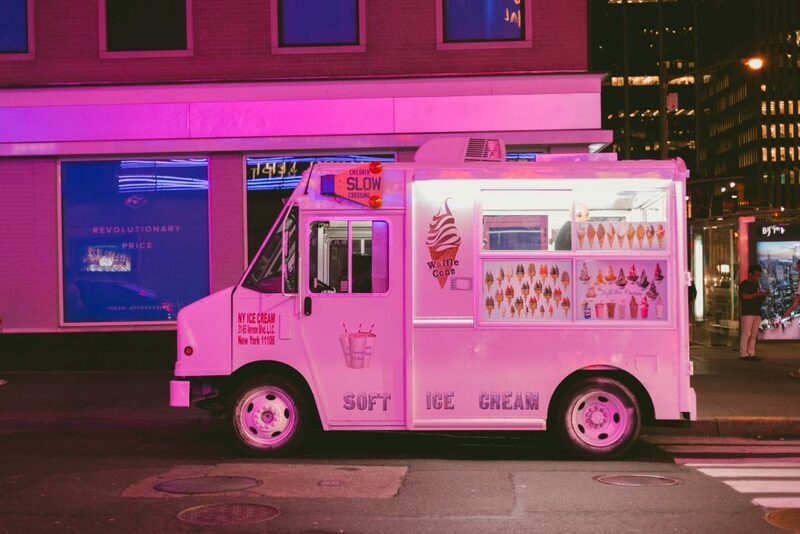 The case of the dairy-truck drivers’ comma has got several things going for it, says former New Yorker copyeditor Mary Norris. It’s got a David-and-Goliath showdown between the little guys and the corporate overlord. 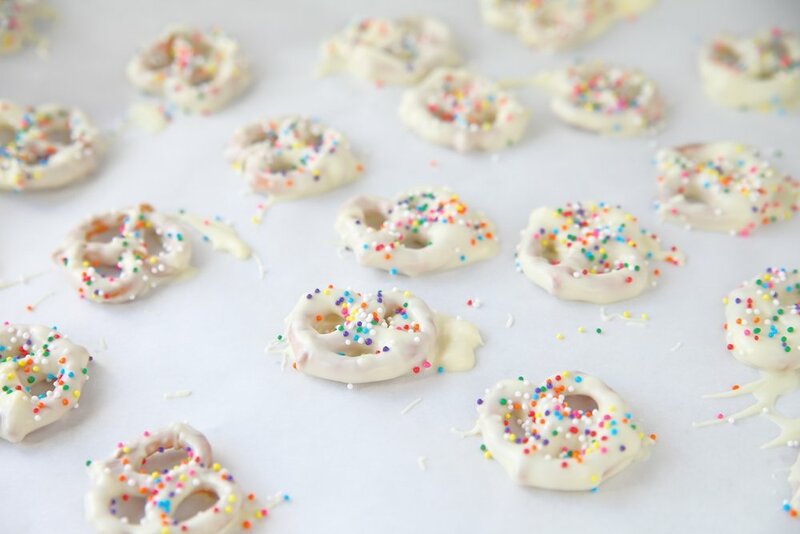 And, of course, it’s… wait for it… got milk. But it’s also got something else we love: It’s got people arguing over grammar. People love love looooove to argue over grammar. And we especially love to argue over the polarizing Oxford comma: defended as a beacon of clarity, derided as an unnecessary pest. Why does something as pedantic and ordinary as grammar ignite raging debate—both in Maine and in the rest of world? Even when there isn’t actual money at stake? And more broadly: Why do some of us love to correct the grammar of others? Love to sharpen our grammar chops on the soft underbelly of those unfortunates who might use literally to mean figuratively? Who misspell lose as loose? Maybe it has something to do with that word “rules” when it’s paired with “grammar”: Grammar rules seem strict, impenetrable, unyielding. But others are more open to interpretation: Splitting infinitives (to boldly go is a famous one). Using “they” as a singular pronoun. Grammarians are thought of as judgy, humorless souls. The type to correct you silently at a lunch counter when you’re ordering a sandwich. Many find work as editors or copyeditors. But most grammar sticklers I know come at it less based in judgment than in something more generous: They want to help us all be understood. The editor is often silent and invisible, grafting weak sentences and buttressing feeble structure into something more hearty and lasting. They don’t get the credit for the bounty or the beauty, either: That glory lands squarely on the needy writer. So if we think of grammar less as rules and more as a handy set of guidelines for clear communication, then grammar works for us—not against us. Like the best editors. Grammar guidelines are often not hard-and-fast—because language is a living, changing thing. Language is constantly on the go, always up for a joy ride to god knows where…. “Grammar rules” stirs up in the righteous a feeling of right and wrong, of needing to put a stake in the ground, to polarize language: Black and white. Off and on. Yes and no. Smart and stupid. Again, occasionally it really matters (overtime or no overtime). But often it just doesn’t. Why do we enjoy a solid grammar throwdown, anyway? Because grammar rules are often not really rules. We might not be able to affect Net Neutrality (a phrase added to the dictionary in 2017, bee tee dubs). We feel powerless about Russian meddling. The world can be a dark and horrifying place. But hold. Up. Just. One. Hot. Second! WE SURE AS HELL AREN’T GOING TO LET THAT LACK OF A COMMA SLIP BY. 👉 👉 👉 Get a letter from me to you in your inbox, every two weeks! Sign up for free right here. Why do we love to argue over grammar? Because it’s something we all use, in some fashion. Even not using it is using it. Physics? Nope. People clearly know when they’re out of their league. Neuroscience? Law? Fergetaboughit. Well, it may be the lawyers with whom we argue the most about grammar. And comprehension. Maybe that’s another Annarchy post. Every time I omit an Oxford comma I will now have an image of Stalin with pasties in my head. That’s a picture that definitely paints WAY MORE than 1,000 words. Good point, Carla…! And STALIN PASTIES: You’re welcome! Yup, Stalin with pasties. That’s indelible and should end this argument once and for all. Who could *possibly* eschew the Oxford Comma after this? Fugettaboutit, is the spelling, just so you know. It’s a NY thing. I’m sure I did something grammatically wrong here, but whatevs. 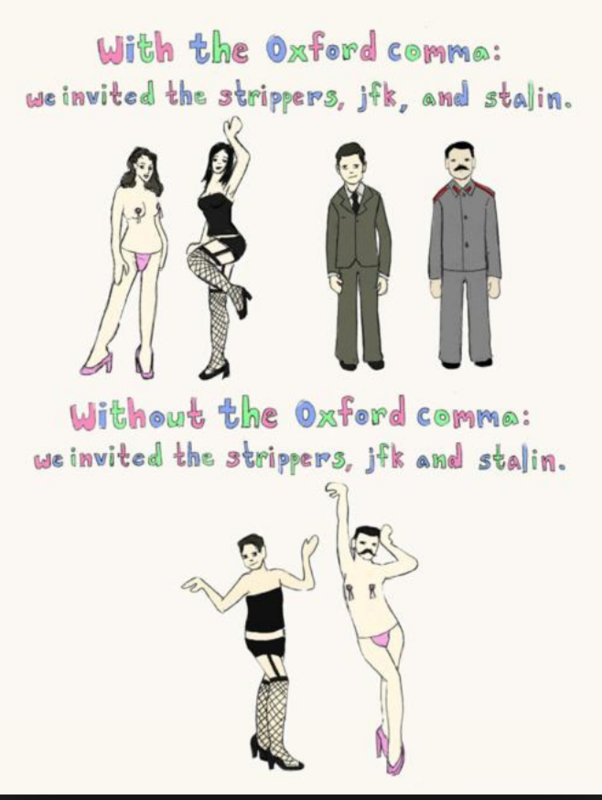 Henceforth I will not be able to mentally disassociate the Oxford comma from Joseph Stalin’s pasties. lol “… to mentally disassociate the Oxford comma …” — split infinitives are indeed hard to avoid 😉 But I digress. Join me as I venture down the rabbit hole. I jumped in after Chuck Todd (MSNBC/Meet The Press Daily) teased his viewers to look up “Oxford comma” after reporting on Mike Pompeo’s admonishment to his staff on the correct use of commas. Todd mocked it, since there appear to be many more important things to worry about, but it’s instructive, given the power of words, and the need to wield such power wisely. The pen is indeed mightier than the sword. Learned men (and women) — yes, mostly lawyers — use language to, quite literally (not figuratively), create new life. Many of us laughed at the notion that “Corporations are people too” but it’s no joke. With the ability to live forever, and powers limited only by what is written in their Charters (themselves formed by artfully stringing together words correctly “spelled”) — corporations are indeed alive, and far more powerful than most of us mere mortals. Always expand your contractions, at least mentally, before committing them to paper / e-mal / whatever. Your statement is equivalent to: “Grammarian” has it is origins in magic? … " On a post about grammar? Why, why, why? On pointy and humorous to boot. love your books and Blog . witnessthequickness@gmnail.com. Thanks, Bruce! I appreciate you swinging by! I’ve been grudgingly dragged into using the Oxford comma after a lifetime of using the Cambridge lack-of-comma. It makes me uncomfortable, self-conscious, and sad. The Stalin/Stripper thing is such an edge use case and we pay a high price for protecting against it. I’ve written for, what, 30 years and never once had my lack of ‘luxury comma’ lead to misinterpretation. But the “clients” have their “style guides” and my “agency” needs “money” for “foosball table maintenance” and “workers” so Oxford it is. Anyway: great, smart, and funny post. Stalin. I will give you an “the woods are lovely, dark and deep” Robert Frost exclusion. But only because Mary Norris does. I pray that nobody prints the comments here because all those superfluous quotation marks/inverted commas (sSee, you ARE good at using extra commas!) are going to use the carbon footprint of the entire Americas in toner! See also: This is one reason (or many reasons) why I’m not a lawyer. Insightful stuff, Ann for sure. Why do we argue over grammar? Let’s not. Instead, let’s simply embrace the fact that there those people who, quite rightly, use the Oxford/serial comma to separate out items in a list—items that deserve to stand as single entities, and that there are those who, grammatically, are simply wrong. In the Frost example above [Ann], the woods are dark and deep, but with a comma, they become dark, and deep, so the meaning shifts although only slightly for sure: the distinction though is something that matters. And nary a mention of “Eats, shoots and leaves” – perhaps too easy? LOL and thanks, friend! I appreciate you swinging by! I want to thank my parents, Ayn Rand, and God. I want to thank my mother, Ayn Rand, and God. Now, the Oxford comma is to blame for the same problem! The Oxford comma makes it read as though the mother IS Ayn Rand. Without it, this sentence would be much clearer. Language evolves. Let’s not hold onto the Oxford comma just because we learned about it in grade school. Take it case by case and use the grammar that makes your writing the most readable. Annie! What a great example. Thank you. I am Team Oxford, philosophically. But in practice I am Team Reader. I remember being told how important this comma was in my business law classes back in the 1970’s. The legal brief was a contested will that omitted the comma. The parent wanted his children to share in the estate equally but without the comma, it changed the distribution. It went to court and the court said without the comma, the last two siblings had to share what the other siblings each got individually. So it was 1, 1, 1, half and half. We went over a number of scenarios similar to that (and more relevant to business law) after that initial case. I have never forgotten that. I sometimes have to argue for the comma. I’m glad to see that it has come back into favor. I’m more of a Shatner comma—or even a Walken comma fan, myself. Yes, I can see why this could be an issue and I’m flexible enough to ask what the editing department I’m working for at the time recognizes as the correct way. However, because I am heavily involved with editing and mucking around in websites all day, I thought of something that makes me crazier. I don’t think anybody has mentioned the locust-like appearance of &rquo; vs ’, & instead of &, %20 instead of a space, and any other number of HTML entities that makes the act of simply displaying punctionation of any kind a Battan Death March across different websites. Surely, the real hot topic here is UTF-8 v ISO-8859 Western. Or not.